Dr. Winchester supports the National Institutes of Health (NIH) Office of Strategic Coordination (OSC) by providing scientific expertise, evaluation, and analysis to facilitate management of NIH Common Fund programs, conduct diverse analyses of programs, and develop communications and outreach strategies in relevant scientific areas, and organize workshops and/or trans-NIH Working Group meetings as needed. In addition, she provides science writing support for other federal and corporate clients. 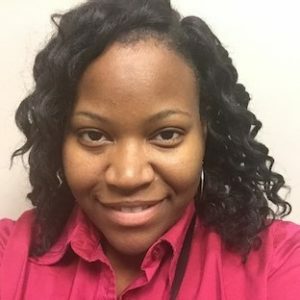 Dr. Winchester completed her predoctoral training in the area of human genetics in the Department of Human Genetics and Genetics at Howard University. After graduate school, Dr. Winchester started her postdoctoral training in the Cancer Epidemiology track in the Department of Epidemiology at the Johns Hopkins Bloomberg School of Public Health. While at Hopkins her research interests included (1) evaluating the role of genetic variation in the etiology of prostate cancer incidence and mortality; (2) identifying genetic factors that contribute to cancer disparities in prostate cancer aggressiveness; and (3) determining whether modifiable factors modify the genetic risk of prostate cancer. Dr. Winchester received her BS in biology from University of Maryland Eastern Shore.